I could eat that corpse over there. You can put anything inside. How did you afford one? I'll pay them back when I'm flush. a few glugs of your whiskey. You're not having any of mine. 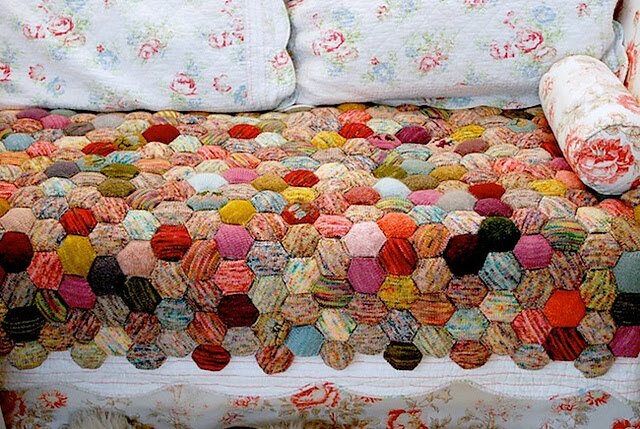 MONTHS ago a good knitter friend of mine started mentioning "The Beekeeper's Quilt". 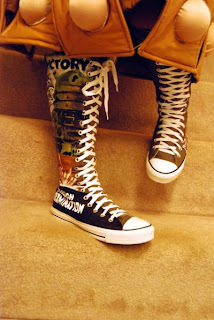 My response to this was, "I had no idea you quilted!" She never corrected what turned out to be an error. So over the next month or so she'd occasionally mention it and I'd just kind of keep thinking, "Wow, she's unendingly amazing and full of surprises." Eventually I decided to search the pattern name on Ravelry and saw what she was talking about*. 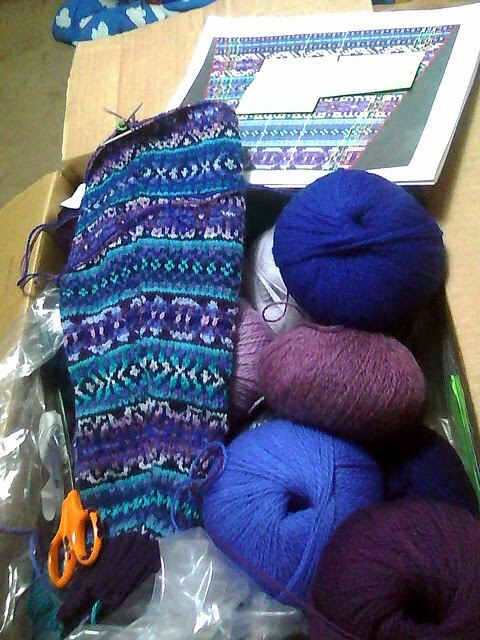 and have her Aguona Laptop Bag Pattern in hibernation for a while. 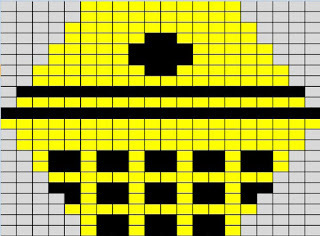 I was going to knit this as well. And as if that weren't enough mine is Portal themed. The Beekeeper's Quilt (as you can see) is a knitted quilt that is intended to be made using sock yarn scraps that are knitted into small hexagonal amigurumi puffs, known as "Hexipuffs" or "Hexapuffs". 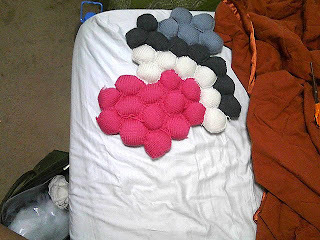 This completely insane project has caught fire within the knitting community so it seemed only natural with all the knitted Daleks I've been releasing this month for The Dalek Project that I make a Dalek Hexipuff. The first of my hexipuff charts was published this morning on Ravelry so that those who would like to make one of their own could do so. 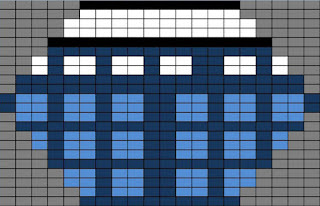 Within the hour I had a request for a TARDIS puff so I quickly whipped up a chart. If you're interested in other geek hexipuff charts just contact me and I'll see what I can do for you. And if you aren't following The Dalek Project on Facebook or Tumblr yet you may want to because the first sale of posted Daleks is fast approaching. 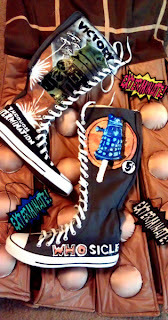 In early March you'll have a chance to buy Dalek Project items like these hand-painted, knee-high, Converse All Star sneakers (which I was able to make thanks to some guidance from the very talented Acrylicana). 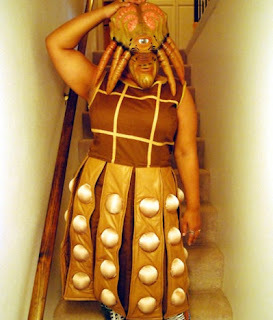 And the official Dalek girl dress created specifically for The Dalek Project by Sweety Darlin' Designs is already available for order. 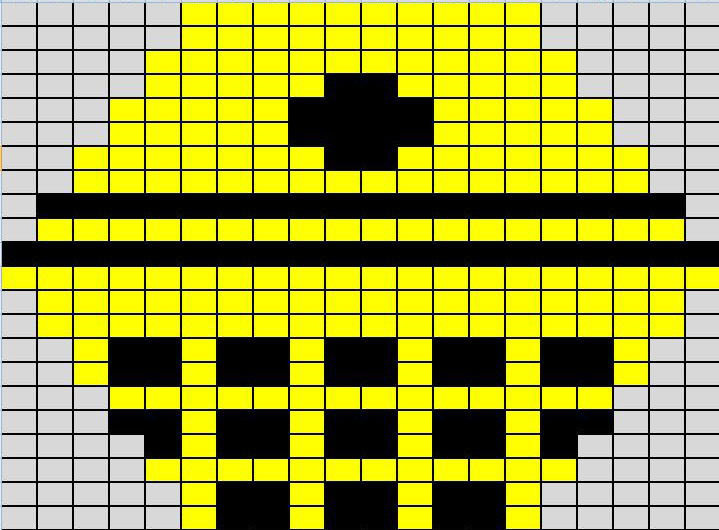 And considering that she already created the template to make them, I bet Janine Basil could be convinced to make you your own Dalek Project headband like the ones she also created specifically for the project. *Even though she isn't doing the sort of quilted I thought she was, she's still unendingly awesome.